The 311 Japan earthquake and tsunami in 2011 and the subsequent nuclear disaster have a huge impact to the world. Survivors have to deal with the loss of their loved ones and many people in the affected neighbourhood continue to live in fear. In response to the psychological need of the affected people, PCCN has provided counseling services to more than 3,600 victims, held mental health care talks, and trained counselors. 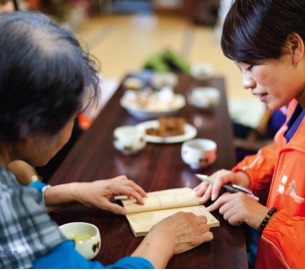 As the only organization providing free counseling services in Minamisoma-shi and the restricted zone of the Fukushima Daiichi Nuclear Power Plant, PCCN regularly brings Hong Kong's blessings to the people who remained in the affected area.